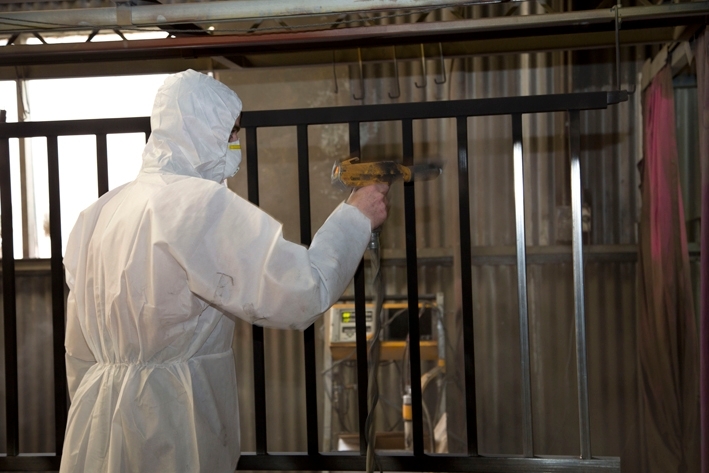 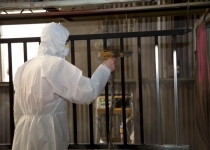 Powder coating is a three stage process, consisting of pre-treatment of the product, Spraying the product with electro static charged powder, and then baking the product to cure the powder. 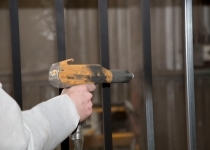 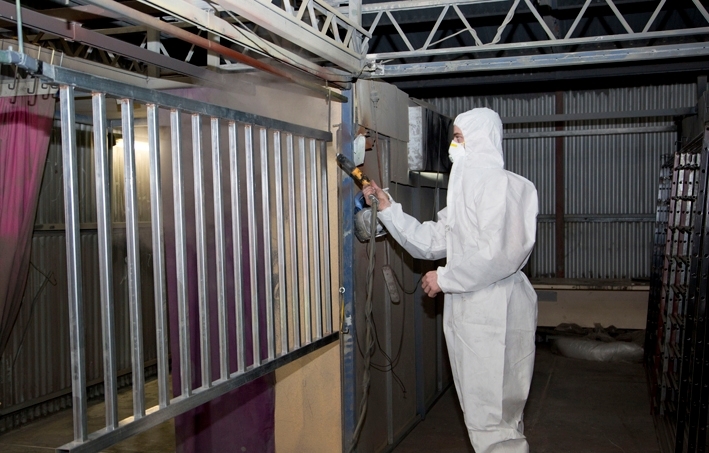 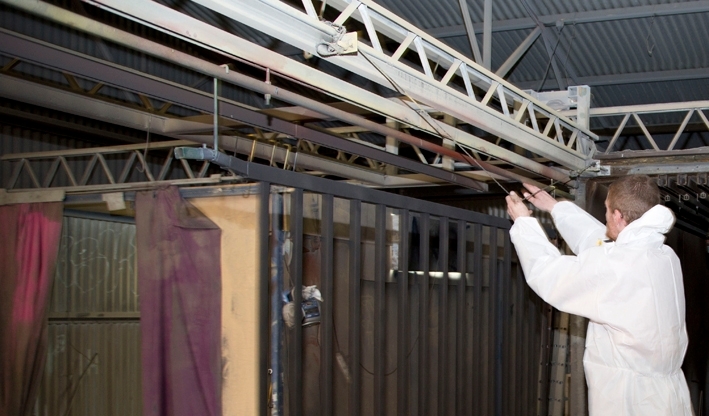 We use top of the range powders and equipment to ensure the best quality powdercoat is achieved. 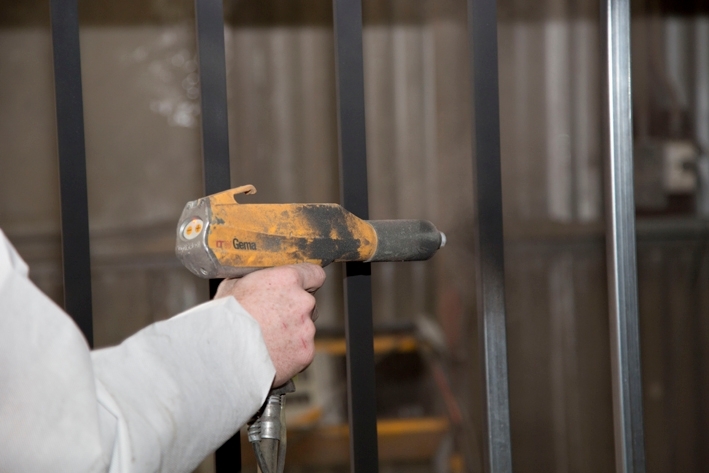 Our products have been tested and proven to withstand the harshest environment, this is backed by our 2 year written guarantee. 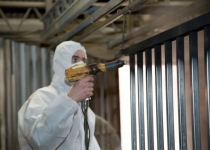 Zinc Primer pre coat is also used on products that will endure hi salt exposure, to prevent any possible corrosion. 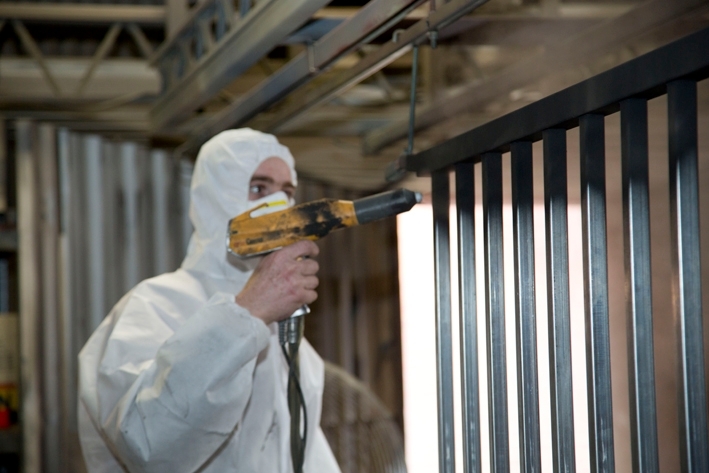 View our large range of Dulux powder coating colours!